I finally got around to reading American Gods by Neil Gaiman. It’s unlike anything I’ve read. As insightful as it is original. It’s also why I’m not getting enough sleep. I’ve had a really hard time getting back into reading fiction. Over the past two years, I’ve started several books that I didn’t, couldn’t, finish. It was awful. So after I heard enough positivity about the Expanse series, I picked up the first one and set out to conquer it. It worked. I’m now well into the third book in the series. All it took was something a little less dense, and a little less likely to end up on the New Yorker’s reading list. Not to say it’s dumb or bad, but it’s an easy read. And I’ve been able to replace a lot of social media scrolling with actually reading a book. It’s been great. I feel like I’m getting reading in, I’m not wasting time mashing heart shaped buttons. … the book explores how (and why) societies in 100 or 300 or 1,000 years might hold radically altered memories of the literature, entertainment, science, and politics of the early 21st century, contradicting the way those concepts are considered in the present. The following excerpt visualizes how television will be remembered in a distant future when TV no longer exists. The Ringer posted an excerpt focused on how television will be remembered. Sometimes it’s easy to forget that the way of life that we’ve all grown up with is a historical aberration. Our reality is a hiccup in time. There’s no question that the business of brands is changing. People have been going on and on about it since well before I ever got involved. Though it seems like there are some agencies out there that are actually getting on with it rather than ringing their hands about it. Communication Design: Insights from the Creative Industries is a new book that features agencies like Zeus Jones who are inventing the state of the art in modern branding. 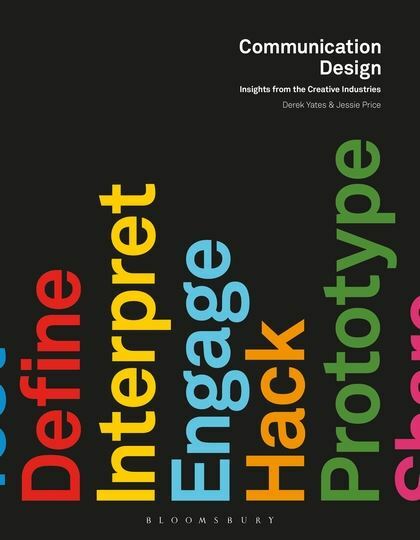 The original impetus for the book was a recognition that there is a growing gap between the education designers and other creatives are getting at school and the emerging practice being developed in the real world. This isn’t simply true for students, it’s also true for practitioners. Modern marketing has become so complex and so specialized that even if you are on the forefront in one area, you may not know what’s happening in other areas. Very excited about this one. I ordered it while collecting links for this post.